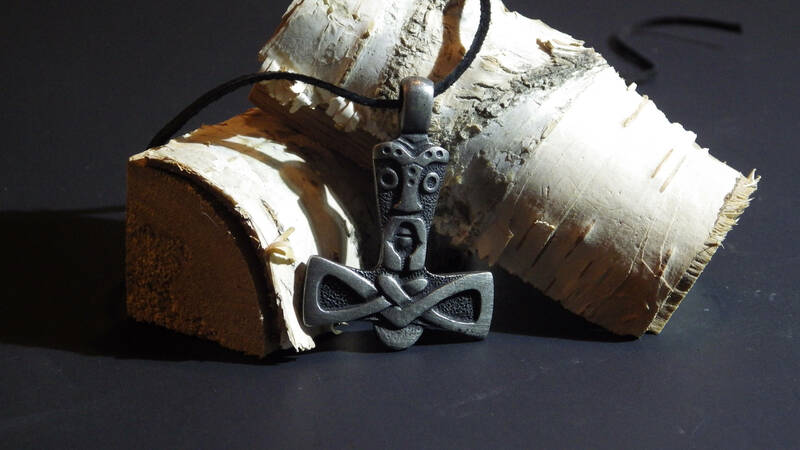 This stylized pendant depicts the face of Thor. 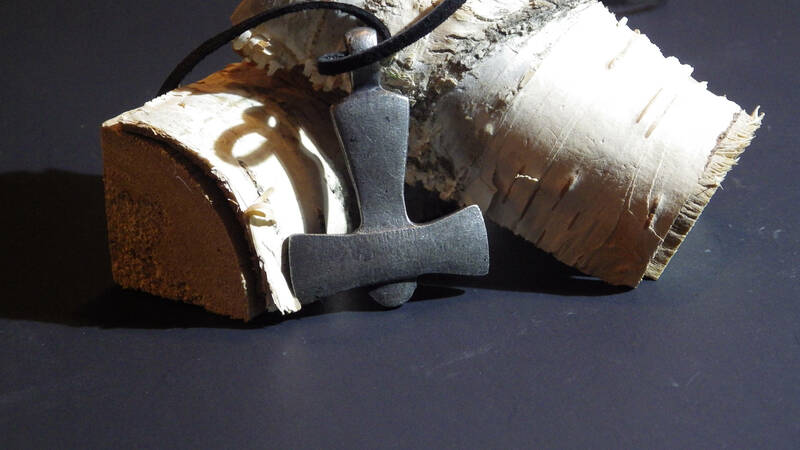 Thor was protector of the Aesir and his hammer was also used for consecration and hallowing. The pendant come with a leather cord.